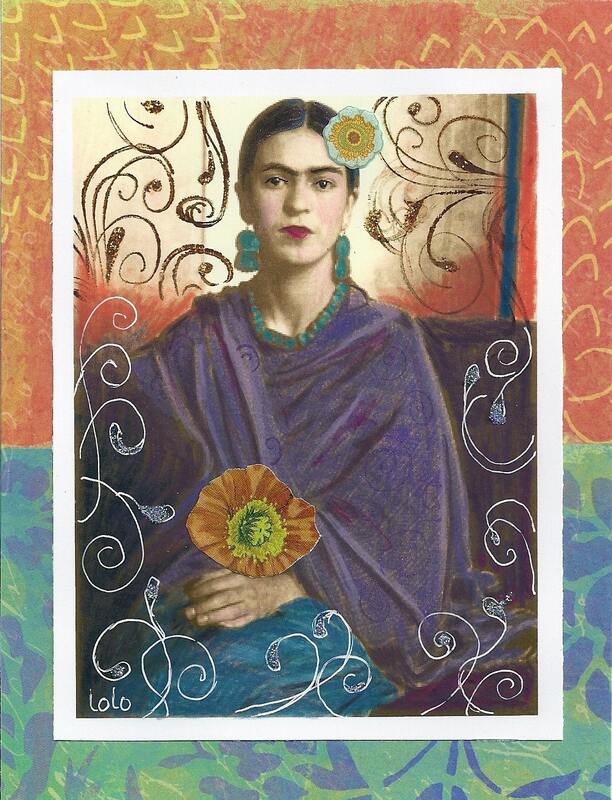 This image is one I did using a photo of Frida, turning it sepia and then hand coloring the original with colored pencils. The print will have sparkles and glitter on some of the flourishes and scrolls. The image is printed on 8 1/2" x 11" Epson Ultra Premium photo paper and has enough of a white border for matting and framing. My "lolo" signature is printed on the bottom left corner. I will ship your print in a cello sleeve with a matboard backing to keep it from bending. This is so Lovely. Thanks so much.